Biomimicry is innovation inspired by nature–taking advantage of the 3.8 billion years of R&D nature has cached since the first bacteria formed on Earth and began to evolve. 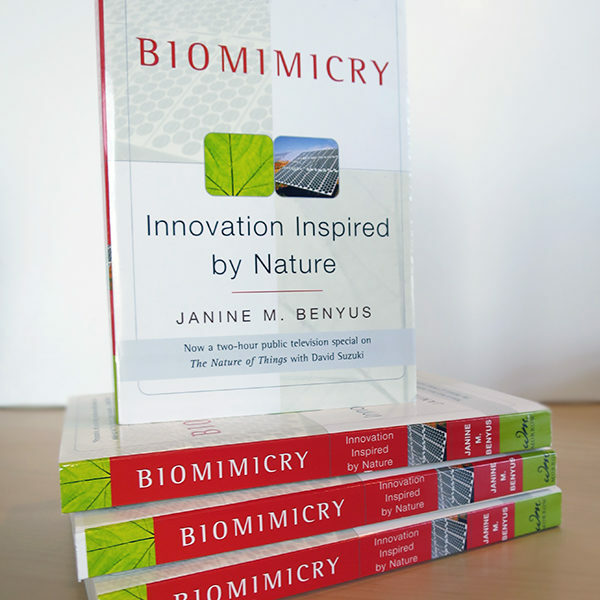 This profound and accessible book, written by Biomimicry 3.8 co-founder Janine Benyus, details how designers and scientists are studying nature’s genius to solve our toughest 21st-century problems. The practice of biomimicry allows us to study nature’s best ideas: photosynthesis, brain power, and shells–and adapt them for human use. They are revolutionising how we invent, compute, heal ourselves, harness energy, repair the environment, and feed the world. Through this book, Benyus names and explains this phenomenon. 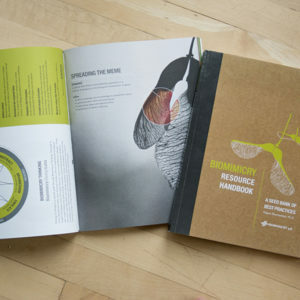 After giving a name to this emerging practice that has become a special kind of movement in the years that have followed “Biomimicry’s” publication, the book remains a vital part of understanding the essential elements of biomimicry. In “Biomimicry,” Benyus takes us into the lab and out in the field with cutting-edge researchers as they stir vats of proteins to unleash their computing power; analyse how electrons zipping around a leaf cell convert sunlight into fuel in trillionths of a second; discover miracle drugs by watching what chimps eat when they’re sick; study the hardy prairie as a model for low-maintenance agriculture; and more. Janine Benyus is the author of four books in the life sciences, including “Beastly Behaviors: A Watchers Guide to How Animals Act and Why.” She is a graduate of Rutgers with degrees in forestry and writing and has lectured widely on science topics. In 1998, she co-founded Biomimicry 3.8, the world’s leading bio-inspired consultancy offering biological intelligence consulting, professional training, and inspiration, with Dr. Dayna Baumeister. Along with two TEDTalks that have been viewed almost 2.5 million times, Janine has inspired thousands of others through her global work the biomimicry thought leader. She lives in Stevensville, Montana. The sophisticated, almost pro-growth angle of Benyus shows the great potential profitability of copying some of nature’s time-tested, non-polluting room-temperature manufacturing and computing technologies. The colors of Benyus, a splendid Stevensville, Mont., science writer with a grasp of several sciences, contain far more shades of green than of chrome. Innovations, whether in farming, composite science, or computing, are a product of human creativity. Science writer Benyus (Beastly Behaviors, LJ 9/1/92) uses these subjects and others to demonstrate how nature’s solutions to situations have been the creative jumping-off points for individuals seeking solutions, developing, or simply revitalizing processes or products. The first seven chapters are a prelude to the final chapter, which tackles industrial ecology. –Michael D. Cramer, North Carolina Dept. of Environmental Health and Natural Resources Lib., Raleigh; Copyright 1997 Reed Business Information, Inc.